We supplied over 1,000 Hochiki ESP intelligent devices to the Liberty Stadium. Discount Fire Supplies can supply everything you need for a comprehensive and life-saving fire alarm system, from fire alarms to fire extinguishers and manual call points to door closers. Commercial fire alarm systems might include a fire alarm panel, fire detectors such as smoke detectors and heat detectors, fire alarm sounders, fire alarm flashers and manual call points. Each detector and call point in the fire alarm system is connected to the main fire alarm control panel. You can set fire alarm zones using the fire alarm panel so in the event of fire you can quickly see which zone is at risk. Smoke detectors work by measuring the amount of smoke in the detector chamber and can be the first indication that a fire has started. Heat detectors constantly measure the temperature at their location. Should the temperature rise above a certain point the alarm will be triggered. Fire alarms give an audible indication of danger and are activated by fire alarm systems once fire is detected. They should be evenly distributed throughout your building and need to be loud enough to be heard over any background noise. Manual call points should be installed throughout your building at no more than 30m apart. Activating a manual call point will trigger fire alarms and alert everyone in the building to evacuate. 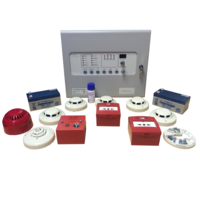 Fire alarm systems are available for many different types of application but we also have standalone fire alarms to protect your home and smaller buildings. Efficient Service. Fully descriptive on line catalogue. However, the website wasn't working several weeks ago but being unable to find an alternative supplier I came back! These guys always go the extra mile to be helpful. Excellent service but £17 for postage of a plastic key to Northern Ireland is extortion! and on this basis will try to source future items elsewhere. Once your fire alarms have detected fire it's time to evacuate the building. An emergency situation could mean your regular lighting won't work so it's imperative to have reliable emergency lighting in place to ensure all exits and escape routes can be safely used. At Discount Fire Supplies we stock a broad range of emergency lighting, including LED emergency lighting, emergency exit signs, emergency spotlights and recessed emergency lighting. Maintained emergency lighting can be set to stay on constantly whereas non-maintained emergency lighting, like the 8W Non-Maintained Bulkhead Emergency Light, will only come on in the event of power failure. For the brightest emergency lighting, try our halogen spotlights. The Twin Emergency Spotlight, for use indoors, has an illumination period of up to 3 hours. For outdoor use we have the weatherproof Tri Emergency Spotlight with independently adjustable emergency spotlights. LED emergency lighting is arguably the future of emergency lighting. Products such as the LED Maintained Emergency Light Bulkhead are discreet and unobtrusive and are also very economical to run. There's no need to replace all your emergency lighting either when the LED Retrofit Emergency Light Replacement will fit virtually any 8W emergency bulkhead and has an average lifetime of 50,000 hours, compared to only 9,000 for a conventional 8W tube! Discount Fire Supplies can supply everything you need for a comprehensive and life-saving fire alarm system, from fire alarms to fire extinguishers and manual call points to door closers. Commercial fire alarm systems might include a fire alarm panel, fire detectors such as smoke detectors and heat detectors, fire alarm sounders, fire alarm flashers and manual call points. Each detector and call point in the fire alarm system is connected to the main fire alarm control panel. You can set fire alarm zones using the fire alarm panel so in the event of fire you can quickly see which zone is at risk. Smoke detectors work by measuring the amount of smoke in the detector chamber and can be the first indication that a fire has started. Heat detectors constantly measure the temperature at their location. Should the temperature rise above a certain point the alarm will be triggered. Fire alarms give an audible indication of danger and are activated by fire alarm systems once fire is detected. They should be evenly distributed throughout your building and need to be loud enough to be heard over any background noise. Manual call points should be installed throughout your building at no more than 30m apart. Activating a manual call point will trigger fire alarms and alert everyone in the building to evacuate. Fire alarm systems are available for many different types of application but we also have standalone fire alarms to protect your home and smaller buildings. Successful fire suppression systems protect your building, equipment and personnel. Fire suppression is a broad term encompassing fire extinguishers to sprinkler systems. Dynameco standalone fire extinguishing generators, such as the Dynameco 200 Aerosol Fire Extinguishing Generator, Dynameco 300 Aerosol Fire Extinguishing Generator and the Dynameco 2000 Aerosol Fire Extinguishing Generator, are ideal for locations like boat engine rooms. These stand alone fire suppression systems come in a variety of thermal activation temperatures and do not require a control panel or electricity supply. Automatic fire suppression systems include detection devices as well as fire extinguishers. Detection devices include UV/IR flame detectors, heat detectors and smoke detectors. If a detector is triggered the control panel, such as the Zeta Aerosol Extinguisher Control Unit, will activate all of the fire extinguishing generators. Dynameco Aerosol Fire Extinguishing Generators for automatic fire extinguishing systems can be used in locations such as warehouses and on public transport. Manual fire suppression systems are useful in locations like commercial kitchens. 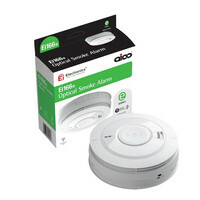 They can support up to 3 fire extinguishers as standard and are activated using a mushroom button or manual call point. Of course, we also sell standalone fire extinguishers. These include foam, water and powder fire extinguishers. Many dangerous gases, such as carbon monoxide, are odourless and cannot be easily detected so it is wise to invest in a gas detection system. 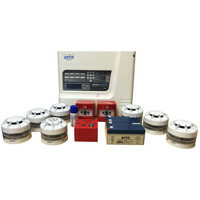 We stock a variety of standalone gas detection monitors and alarms. The Stand Alone Combustible Natural Gas Detector will emit an alarm when it detects gas and is also available as an LPG gas detector. The portable Zeta Domestic LED Carbon Monoxide Alarm is excellent for use in the home and on holiday. For large scale gas detection in areas such as warehouses and factories the AirCOn8 Addressable Carbon Monoxide Monitoring & Ventilation Control System is ideal. Up to 110 carbon monoxide monitors, split into 8 zones, can be linked to the system - the highest level in each zone will be displayed on the control panel. If the concentration of gas exceeds a certain level, the operation of ventilation equipment will be initiated. 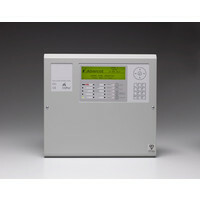 Intelligent 2-Wire Fire Alarm Kit with 2, 4, or 8 Zone panel. Can be Expanded with Additional Devices. Additional Saving by Buying in Kit Format.